That old institution...the New England breakfast! Not nearly what is was in the days of our ancestors, when they sat down at the breakfast table laden with more food than is seen at all meals combined now-a-days. The juicy steaks, pork chops, fried fish, piles of ham and eggs, hash brown potatoes, high stacks of buckwheat pancakes(constantly being replenished by the cook of the house) and maple syrup as fresh as the general store could bring it in. The River Driver Breakfast-Gilled Trout with eggs, homefries, toast and coffee. And amongst all this food in days gone by, could be found that one mainstay of colonial life.... Pie! "I will thank you to pass the pie, if you please! ", Ralph Waldo Emerson is said to have remarked to Oliver Wendell Holmes in the early, mid 19th century. Henry Wadsworth Longfellow would often remark "There's a gazelle in the garden." whenever a flake of pie crust fell into his beard while dining at breakfast with his family at Cambridge. Now just because pie was universally enjoyed throughout all regions of New England and Canada, this doesn't mean that all breakfasts were the same. More fish, for example, was used along the shoreline than in the hinterland, but even seaside Cape Cod had pie for breakfast. A 19th century historian for the town of Chatham, Massachusetts repeated the following, taken from an 1802 Bill of Fare from this seaside community. "Food can so easily be procured, either on the shore or in the sea, that, with the profit which arises from their voyages, in which it must be confessed they labor very hard, the people are enabled to cover their tables well with provisions. A breakfast among the inhabitants, and even among those who are called the poorest, for there are none which may be called really poor, consists of tea or coffee, brown bread , generally with butter, sometimes without, salt and fresh fish, fried or broiled. A dinner affords one or more of the following dishes: roots and herbs; salted beef or pork boiled; fresh butcher's meat not more than twelve times a year; wild fowl frequently in the autumn and winter; fresh fish boiled or fried with pork; shell fish; salt fish boiled; Indian pudding; pork baked with beans. tea or coffee also frequently constitutes part of the dinner. A supper consists of tea or coffee, and fish, as at breakfast; cheese, cakes made of flour, gingerbread, and pies of several sorts. This bill of fare will serve, with little variation, for all the fishing towns in the country. In many families there is no difference between breakfast and supper; cheese, cakes, and pies being common at the one as at the other." "The breakfast, which, in the country, is held at an early hour, and often by sunrise, is no evanescent thing. In a farmer's family, it consists of little less than ham, beef, sausages, bread, butter, boiled potatoes, pies, coffee and cider." 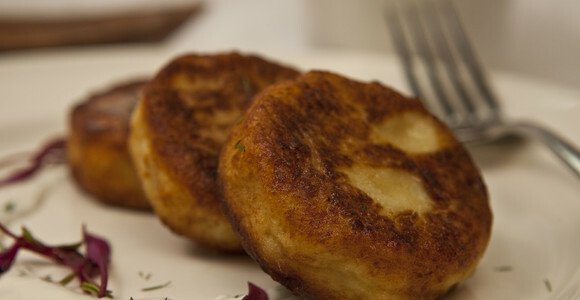 Although codfish cakes, browned, crisp and fluffy, were a Sunday morning tradition in most New England families, pie was an everyday 'must have' at the breakfast table. By the mid-1890s, pie was quickly going out of fashion, along with almost everything else on the morning menu touched on above. This was because more and more Americans were travelling abroad and were noticing that other countries they had visited were eating what were called "Continental breakfasts". And as with clothing styles, fashion(as depicted below from an 18th century advertisement)etiquette and mannerisms, these New England travelers brought those ideas back here to the East coast. It was quickly becoming fashionable for those returning from abroad to denounce pie as "provincial", and none of these people wanted to be thought of as unsophisticated, now that they visited France or England. Big breakfasts were out and one must do as they do in Paris, and not Paris, Maine either. So instead of trying to convert our French friends to enjoying pie for breakfast, they surrendered their birthright and permitted themselves to Parisian trends. But we can't blame these visits abroad for the diminishing and generational big breakfasts. Nope, New Englanders were beginning to rush their lives in the world of society to the point "...when we began to measure our progress by the rate of speed at which we could move and began to think that because we could get around ten or a dozen times faster than our grandfathers, we were that much better than they were, pie as a morning dish was doomed. For nobody had time to eat a decent breakfast." It used to be said that the absence of pie would have been more noticeable than the scarcity of the Bible. To an American, a Yankee is a Northerner. To a Northerner, a Yankee is an Easterner. To an Easterner, a Yankee is a New Englander. And to a Vermonter, a Yankee is someone who eats pie for breakfast. It isn't hard to understand what would have been the most popular pie for the breakfast either. Considering apple, berry, pumpkin and mince pies were popular at all times of days and seasons, then it is easy to assume that whatever was leftover from the previous day would have been enjoyed the following morning. Now for that age-old question of whether or not New Englanders are known for cheese with apple pie. As seen above, cheese was at the table for breakfast and would have been available at all meals as well. There is no need to dig deep into journals, articles, research or published essays for common sense to apply here. 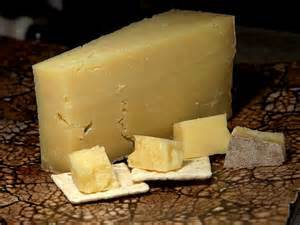 New England was known for the best Cheddar cheese in America. New England was known for the best apples and apple bi-products in America. It is a natural affiliation that the two would have been combined many, many times over in just as many ways. No, Cheddar cheese was NOT melted over an apple pie. 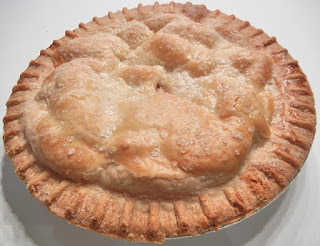 Apple pie was always eaten hot from the oven, unless leftovers were had the following morning. It is funny when I read that some food historian gives the reason why Cheddar and apple pie were eaten together. They go on to say the saltiness of the cheese offsets the sweetness of the apples and crunchiness of the pie crusts. I would much rather tell it like it is, rather than act as though I am a food connessieur with an ego to boost. Simply and plainly, both were in homes of old all the time and it was only natural for BOTH to be consumed together. About the image of cheese melting over apple pie now. American cheese was not added and melted over apple pie untildu the 1960s and '70s. Although good in its' own right, there is still nothing better than taking a bite of sharp Cheddar, followed by a forkfull of warm apple pie, sans any ice cream...NOT NEEDED! There probably isn't any rhyme or reason behind this post. I didn't give you any dates that pie was first served at the New England breakfast table, nor any specific person who could be identified as starting it. I gave you no certain pie that graced any identifiable table from any given region in "Yankee-land". Heck, I am not even able to specify any entry that proves only Cheddar cheese was served with apple pies from days gone by. Sometimes common sense dictates proof. I have scoured every cookbook printed in New England from the first printed to the 1800s from New England. I have hundreds of journals and diary entries from dozens of Yankees since the 17th century. I am a 30 year New England food historian that craves the true beginnings of our "kitchen culture" and am a proud 7th genertion Mainah' and 11th generation Yankee, whose family have been both backwoods families and coastal progeny. And the bottom line is we have enjoyed pies for breakfast since the beginning, but this has all been lost to time and changing, culinary climates. And Cheddar cheese with apple pie is about as Yankee as you can get.....as long as it is not melted over the top.! Why did New Englanders formerly eat "great pies" for breakfast? Because they had great things to do! Amen chef. I am in my 9th decade and STILL eat pie for breakfast, much the same as my father and his father before him. Always have apple, blueberry or mince. The 'Maine' Truth Behind Gumbo's.